Registration for XC races opens at 9 AM. The Beginner/Sport race will start at 11 AM with riders starting in 30 sec intervals and completing one lap. Comp/Expert races start at 1 PM with racers starting in 30 second intervals and completing 2 laps. At approximately 4 PM there will be awards and final results will be posted. Course: The XC course is approximately a >7 mile loop with a mix of 70% single track and 30% double track the course consists of 2 creek crossings fast downhills good climbs and challenging sections of rock and root gardens with intermixed open sections of fast hard pack. Approximately finish times for one lap are 35-45 min. Classes: Each event will have a male and female beginner/sport class and a male and female comp/expert class. Fees: $15 dollars for the race. 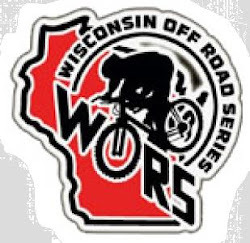 Any proceeds from this event will go to the UWP cycling club. There will be as many prizes as we can find for riders. Registration: Registration for events will begin at 9 AM and close 15 min prior to event no exceptions, no preregistration. Other notes: All riders are required to have helmets. Pre riding will be open on Friday. Camping: Camping will be allowed around the race site. Remember: take out what you take in and leave it like it was. Directions: From US 151 Take US 80 West into Platteville. At second stop lights, “by subway”, continue left on US 80, which will also be E Pine St. You will then reach a set of stop lights, at which time you will take a right and continue on US 80 also know as Chestnut street. At the next stoplight stop take a left on W Main St., “you will drive by the Platteville campus”. This road turns into County Hwy B follow it for approximately 9 miles then take a right on Red Dog Rd, Follow Red Dog road for about 1.9 miles and you will see signs for the race site on the left. From Lancaster travel south on US 61 for about 9 miles then bear left onto County B for about 3 miles. Take a left on Red dog road and the race site will be 1.9 miles on the left side or the road. Final Word: Do you ride to win or ride to have fun? We at UWP cycling ride for the latter. We have been working hard at this event and there is tons of enthusiasm and support for it. We are planning on having a good time and we want you and your buddies to come and have a good time with us. So please come join us April 18th and help make this event a success. Look for course information and race updates at our blog or contact Byron at manternachb@uwplatt.edu. Thanks for the support and we hope to see you there! PS I have a pdf but I can't seem to upload it to site. Will try later. Is it gonna be the same course? Man, I'll be there and will bring few dudes that haven't done this tt.